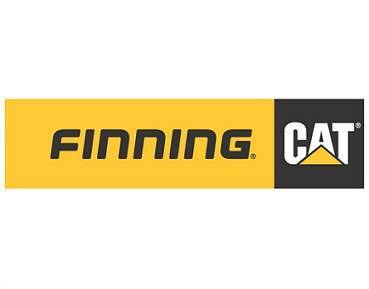 Finning Power Systems, the U.K.’s sole supplier of Caterpillar engines has signed an exclusive £2.5 million, five-year agreement with Serco, the international service company, to provide product support for all of the company’s U.K. and Ireland marine operations as well as all land-based generator sets located at over 400 facilities nationwide. Finning has been providing engine support to Serco for the past year on its “Future Provision of Maritime Services contract (FMPS),” a contract awarded to Serco by the U.K. Ministry of Defense for the provision of marine services at UK Royal Navy bases. However, this is the first time that Serco has sub-contracted all of its engine support requirements to a single provider and is testament to Finning’s ability to provide comprehensive support on a wide range of engine makes and models, in a range of locations. Alongside traditional repair, maintenance and service provision, the exclusive agreement also includes asset management of all the engines in the estate, provision of genuine spare parts as well as cost of ownership analysis, to ensure that each asset is delivering efficient performance. The contract comprises all of Serco’s marine operations including 54 vessels on the FMPS contract, the Northlink ferry line in Scotland and support for international nuclear shipping (INS) container vessels and includes a diverse range of engine types and makes, with Caterpillar, Perkins, MaK, Ruston, Deutz and MAN to name a few. In addition, Finning will provide multibrand product support of standby generator sets at over 400 Serco facilities in the U.K., including local authority and government buildings, sports centers and hospitals.